When an incident occurs, and depending on the structure and processes of an organization, there are usually multiple narratives that are produced, especially when the incident results in an injury, fatality, or is high profile on a customer’s project site. The focus of this posting is the first story…and the second story. Dekker (2011) outlines the first and second story the way many of us envision old safety vs. new safety. Shifting focus to the new safety allows organizations to enhance engagement, safety culture, and the quality of products and services by improving communication across functional and perceived barriers. In the First Story, the focus is identifying the weak link, usually human error. 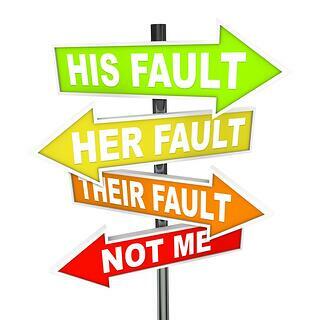 This begins an iteration of the name, blame, and shame cycle in which the person who the organization perceives as having erred, and worthy of receiving the negative consequences from doing so. These consequences are meted out in the form of discipline, up to and including criminalization. The crux of the matter is that old safety focuses on people as the problem to be fixed. By highlighting the “errors” that people made, and punishing them accordingly, safety’s response was to treat the symptom of the problem. However, one human would replace another human and inevitably, the same error would occur. When focusing on the human as the source of the problem, it becomes very easy to ignore other latent conditions that caused the incident. Human beings, by fundamental nature, are prone to error. We all tend to perceive things differently, and through a diverse set of backgrounds and experiences, will form mental models of work differently. Work processes are designed to be stable, but in high-hazard or dynamic environments, the work can often require more resources than the human may be capable of committing, e.g. situational awareness, fatigue, competing priorities, production pressures). For safety leaders, the new safety creates the opportunity for transformational leadership within the organization. Here is where the Second Story begins: a tale of investigating incidents and high-value learning events that go deeper than “human error.” The focus of new safety shifts to the conditions which allowed the error to occur, and the prevention of recurrence. It looks at other structures within the organization by which the error-producing condition was not trapped earlier. The New Safety recognizes the issues and aspects that zero-harm commitments and forced compliance through disciplinary mechanisms create for personnel at the sharp end of the process. Safety leaders strive to create conditions where investigations are examined from multiple viewpoints, and latent causes are identified. They work to change the norms and values of the organization, and provide the bookends where the Second Story can get told. As the culture changes, safety leaders are able to capture increases in employee engagement to continue to improve systems. As employees become more involved, and less fearful of retribution for events created by the design of the system, they become much more interested in helping the organization fix its problems. Dekker, S. (2011). Patient safety: A human factors approach. Boca Raton, FL: Taylor & Francis.